Convenience Retailing, LLC - Convenience. Quality. Trust. Convenience Retailing, LLC is the operator of Autostream Car Care Centers, convenience stores and car washes in the Greater Baltimore/Washington Metro area. The company has received numerous industry and civic awards through unsurpassed retail execution and service to their community. Convenience Retailing, LLC was founded in December 1998 by its two owners, Rick Levitan and Doug Grills. Rick and Doug have been around the service station business for over 25 years and have built their reputation by offering best-in-class service to their customers. Their locations focus on serving the needs of the surrounding community, offering gasoline, automotive repair and services, and convenience items. Since starting their business, they’ve expanded their offerings at several sites to include car washes and a Subway sandwich franchise. All of the company’s automotive service facilities are AAA-approved, passing AAA’s stringent requirements for both quality and service. They acquired their first service station, Dorsey Hall Shell in the Dorsey Search Village Center in Ellicott City, MD, in May of 1999. After acquiring the site, they immediately went about expanding the offerings at the location from gasoline, snack shop, and automotive service bays to include a state-of-the-art touch-free car wash. The addition of a car wash was completed in 2001. Through hard work and consistent execution, Dorsey Hall Shell has received numerous industry and civic awards and is an official Educational Alliance Partner with Howard County Public Schools. After only nine short months, Rick and Doug acquired their second location, Columbia Shell in February 2000. Located in the Owen Brown Village Center in Columbia, MD, the station offers gasoline, diesel, automotive service, and convenience items. In November 2003, they made a huge commitment to this community by purchasing the real estate at the site. They immediately set about expanding the offerings at the location by increasing the size of the convenience store and adding a Subway sandwich take out. Today, Columbia Shell continues to build on its reputation for offering quality products and services that meet the fast-paced lifestyles of its many customers. Greenspring Shell, Convenience Retailing’s third location, located in the Greenspring Shopping Center in Baltimore, MD, was acquired in August 2001. An integral part of the Pikesville community, the station offers gasoline, diesel, convenience items, and automotive service. Recognized as one of the preeminent automotive service providers in the area, the station’s reputation for offering quality service and repairs has grown dramatically over the years. So much so that the company added a separate office and customer reception area to handle the burgeoning flow of customers coming to have their cars serviced at Greenspring Shell. The company’s 4th location, located off of Interstate 70 in the Waverly Woods Village Center, in Woodstock, MD, first opened in 2010 as a quality gasoline and diesel fuel facility, with a large convenience store, and a state-of-the-art, touch-free car wash. This location went through a significant expansion in September of 2015 and is now a full-service auto repair facility, and the 4th official AutoStream Car Care location. Having built this shop themselves from the ground up, Rick and Doug feel an extra sense of pride in this location and look forward to serving the Waverly Woods community with quality auto repair services for many years to come. Over the years, the company added several other locations to their growing portfolio of sites, including stations in Annapolis, MD and Tyson’s Corner, VA. But in the end, they decided to focus their efforts on the Howard County/Baltimore County regions of Maryland, selling these other acquisitions and remaining steadfast in their belief that their customers would be better served by a local Baltimore/Washington company attuned to the needs of the communities where they operated. The company’s newest location is its first stand-alone building dedicated solely to automotive service. Located in Clarksburg, MD, and opened in October of 2016, this new state-of-the-art, 7-bay AutoStream Car Care Center works to fulfill the automotive service needs of the local community. The company is extremely proud to be operating in this very vibrant Montgomery County, MD village center and will work very hard to continue to build and gain the trust of customers there in the many years ahead. Going forward, the company will continue to focus on its AutoStream Car Care service centers, which have been providing quality automotive service and repair since 1999. 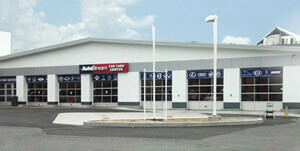 AutoStream Car Care is a growing chain of centers offering unsurpassed service and customer satisfaction. All of their centers are full-service automotive maintenance and repair facilities, AAA-approved, using state-of-the-art diagnostic equipment and employing ASE certified technicians with the ability to service all makes and models. The company’s experience and passion for its customers and their vehicles will enable AutoStream Car Care Center locations to continue to offer top-quality automotive service to all of their local communities well into the future. Family-owned and operated since 1998, Convenience Retailing continues to look for opportunities to expand their operations in the Greater Baltimore/Washington/Washington Metro area, furthering their commitment to offering the finest products and services available in the marketplace today. Our trusted professionals at AutoStream Car Care Centers can assist with repairs on any make or model car. AutoStream Car Care Center is a chain of family-owned, automotive service facilities that deliver honest and professional automotive repair and maintenance services to customers in the Greater Baltimore/Washington/Washington, DC area. All of our automotive technicians are ASE Certified (National Institute for Automotive Service Excellence) and utilize the latest automotive technology to diagnose and analyze your vehicle. They are equipped to handle all major and minor repairs as well as complete maintenance on all foreign and domestic vehicles. All AutoStream facilities are AAA-approved, exceeding AAA’s rigorous requirements for employee training and certification as well as their stringent standards for providing exemplary customer service and satisfaction. We use the latest automotive industry computer hardware and software to analyze your vehicle, working on all makes and models, and we take pride in being able to handle all of your automotive service needs. Our experienced technicians will undertake a thorough review of your vehicle and will always alert you to any existing problems they find on your car. In addition, they always make every effort to identify any potential problems or hazards you may encounter with your vehicle before they arise, with the goal of keeping you and your loved ones confident and on the road. Check out our Services Page to see more about the services offered at our Autostream Car Care Center locations. Convenience Retailing’s AutoStream Car Wash locations feature state-of-the-art, touch free, in-bay automatic car wash systems. These systems are unparalleled in their value, performance, and speed. Our car wash at Waverly Woods Shell has been engineered with customers in mind. High-performance cleaning, consistent reliable operation, and user-friendly functionality are just a few of the reasons that customers love AutoStream Car Washes and rate them one of the best touch-free automatic car washes in the market today. AutoStream Car Wash locations also offer coin-operated, self-serve vacuum areas for our customer’s use that enable you to get a clean car, inside and out. And inside our convenience stores at our AutoStream Car Wash locations, you’ll find a wide variety of cleaning supplies for purchase including Armor All Cleaner©, finishing waxes, and Tire Magic® to keep your car looking clean and polished. Convenience Retailing operates retail convenience stores at all of their locations in the Greater Baltimore/Washington/Washington, DC area. Our stores offer a variety of convenience items, including soft drinks, bottled water, energy drinks, cigarettes, snacks, coffee, pastries, food items, and MD lottery. Along with convenience items, the stores also offer a range of automotive products, health and beauty aids, and fill-in groceries. Our Columbia location (Owen Brown Village Center) also offers a Subway sandwich take out where customers can order all their favorite foods from the Subway menu. In keeping with our customer’s busy lifestyles, our stores are designed to allow you to find what you need – quickly and easily – and get you on your way. Convenience Retailing offers quality fuels that you can trust at all of their locations in the Greater Baltimore/Washington, DC area. 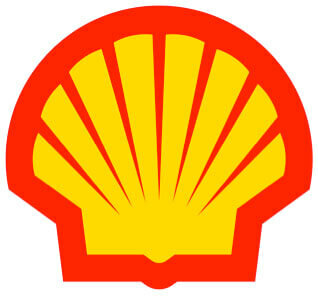 AutoStream has Shell gasoline in Baltimore, Clarksburg, Columbia, Ellicott City & Woodstock, MD. By offering Shell branded gasoline at all of our stores, we provide a recognizable, trusted national gasoline brand that allows our customers to fuel their vehicles with confidence as they head out for work, leave for a vacation, or just run errands around town. Our stations offer state-of-the-art, digital dispensing equipment and we accept a variety of convenient payment options, including nearly all major debit and credit cards. Looking for diesel fuel? Check out our Locations pages to see which of our stores offer the diesel fuel you may need to power you on your way to work, home, or school. At all of Convenience Retailing’s locations, Shell branded gasoline provides customers the opportunity to take advantage of the Shell-Giant Gas Rewards Program to save 10, 20, 30 cents or more per gallon when you purchase fuel from one of our stores. It’s a great way to save hundreds of dollars off your annual fuel bill. For more information on the Shell-Giant Gas Rewards program, please visit giantfood.com/shell.